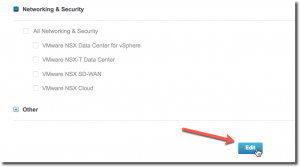 How do you get informed when an important update is published for a VMware product? For many it is probably some combination of reading blogs or watching Twitter. 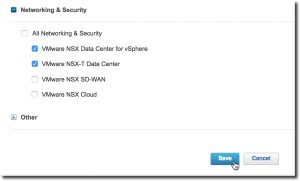 Sure you can sign up for VMware Security Advisories (and you should – right NOW!). 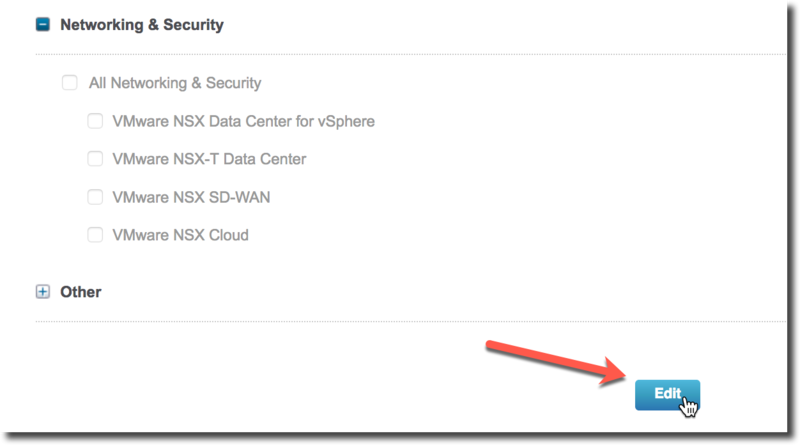 This is a great way to get the latest on security updates and it is very important; but what about bug fixes for vSphere, vSAN, and all of the other products in the VMware portfolio? How do you stay up-to-date on those? Why is this important you ask? You install patches regularly. What else do you need to do? Recently, an issue was discovered with a product. While it just affected a small number of customers and only occurred under specific set of circumstances – it is important to know that it exists so you can avoid walking into it. Depending on your environment you might choose to patch early or if it does not affect you – wait until the next patch cycle. All software has bugs – the important thing is to learn about them and adjust accordingly for your environment. 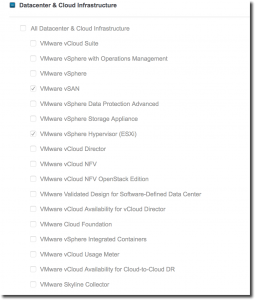 How do you keep on top of this for VMware products? 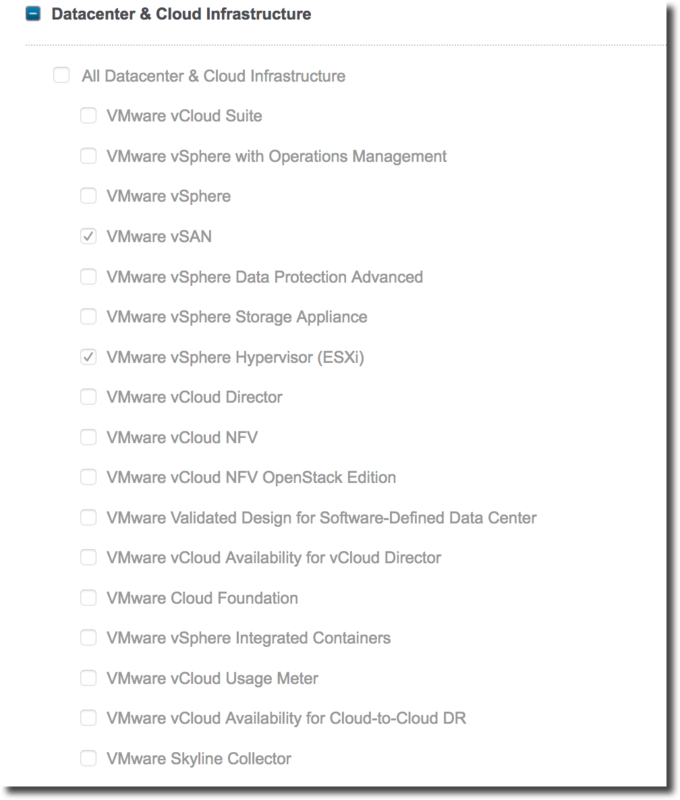 Using your VMware Portal account, you can sign up for notifications on the products and technology you care about. 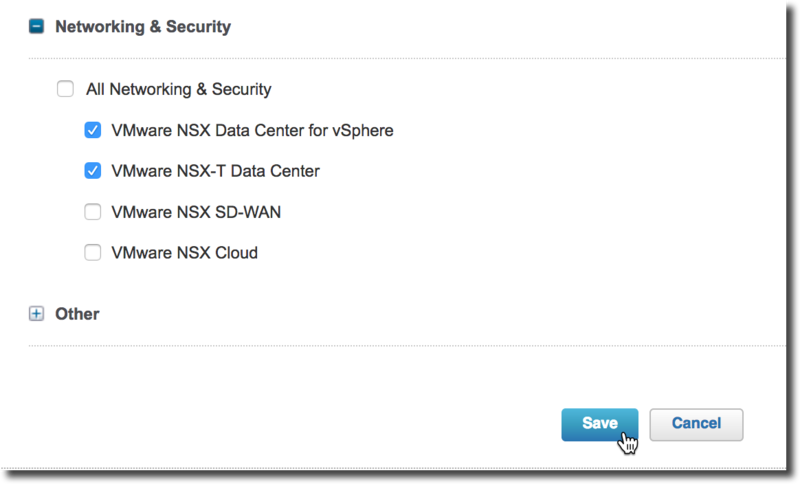 Login to my.vmware.com and click on your Name in the upper right-hand side and choose Profile. On the Profile screen, click on the Subscriptions tab. You will notice that the selections are greyed out. 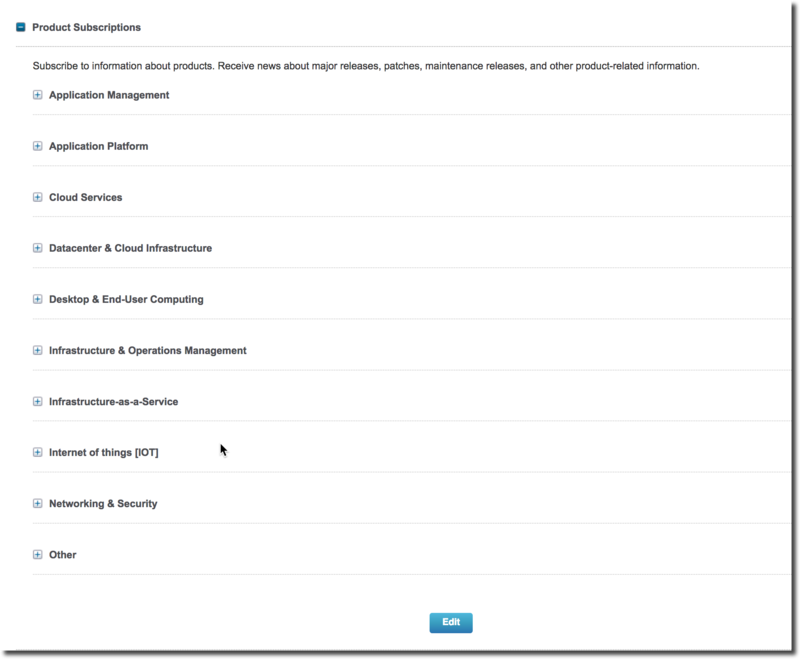 If you want to make changes in your subscription, click on Edit (located in the bottom of each section). Once you click Edit, you can make any changes you like and then click Save. 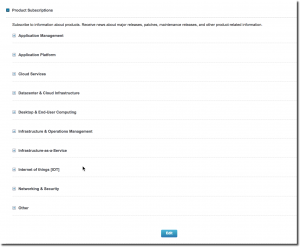 You will receive an e-mail indicating a change in your subscription choices. 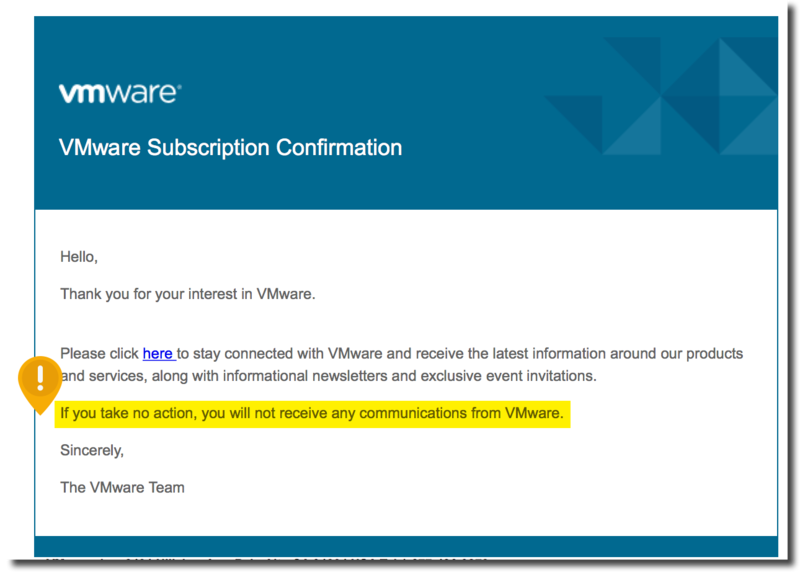 You must click the link in the e-mail to confirm. If you do not, your subscription will not be updated.